Tales of a Media Addict. : My Son Turns 1! 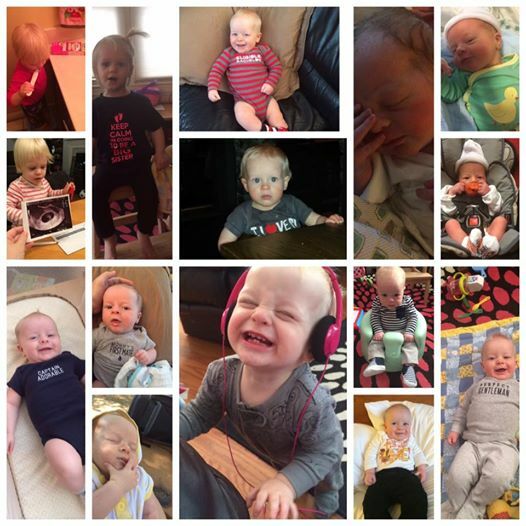 Happily stealing my wife's collage of pictures, this represents the first year of the life of my son, Sean. He is a happy kid, who loves pretty much anything anyone else is doing (in particular his sister). He started walking fairly early (10ish months) and continues to a be a joy. I am excited that he has managed to reach this benchmark and cannot wait to see what sort of a man he eventually becomes. I am so happy for any amount of time I can spend with him and his sister (though the flight to Orlando later this month with both of them and just me is going to be.... interesting...).